The Ghawar oilfield, located about 100km southwest of Dhahran in the Al Hasa Province of Saudi Arabia, is by far the world’s biggest oil field both by oil reserves and production. The giant oil field, discovered in 1948 and brought on-stream in 1951, currently holds more than one fourth of Saudi Arabia’s total proven oil reserves and accounts for about half of the country’s oil output. Owned and operated by state-owned Saudi Aramco, the Ghawar field has produced more than 65billion barrels of Arabian light crude oil in its 63 years of operation. The oil field continues to undergo development for greater productivity and extended life. The world’s biggest oil bearing Ghawar reservoir, 280km-long and 40km-wide underlying 1.3million acres, is situated in the eastern part of the Empty Quarter desert along the western Gulf coast. The main reservoir of the field, 100m in thickness and lying 2,100m beneath the surface, comprises of highly porous and permeable Arab-D Jurassic organic rich mudstones. The field was estimated to contain about 70billion barrels of remaining oil reserves and 90trillion cubic feet of natural gas reserves at the beginning of 2013. "The field was estimated to contain about 70billion barrels of remaining oil reserves and 90trillion cubic feet of natural gas reserves at the beginning of 2013." The onshore oil field comprises of five development areas namely Ain Dar, Haradh, Uthmaniyah, Shedgum, and Hawiyah. The field’s first discovery well Ain Dar No. 1 was completed in 1948 and brought into production in early 1951 at a rate of 15,600 barrels per day (bpd). The well continued to produce dry oil without any water contamination until 1999. Haradh No. 1, the second discovery well at Ghawar, was completed in 1949, but put on production in 1964 at a rate of 6,400bpd. The Uthmaniyah No. 1 discovery well was drilled in 1951 and brought on-stream in 1956 at a rate of 11,300 bpd. The fourth discovery well Shedgum No. 1, completed in 1952, was put into production in 1954 at a rate of 12,400 bpd. The last discovery well Hawiyah No. 1, confirming oil between Uthmaniyah and Haradh, was drilled in 1953 and brought on-stream in 1966 at a rate of 4,800 bpd. The Ghawar field currently produces about five million barrels of oil and 2.5billion cubic feet of natural gas per day. It is by far the biggest oil producing field and is one of the world’s six fields producing above one million barrels of oil per day. The offshore field Safaniya and the onshore field Khurais are the only two other Saudi Arabian fields with daily oil output exceeding one million barrels per day. "Ghawar is currently estimated to account for about six percent of the world’s total daily crude oil output." Ghawar is currently estimated to account for about six percent of the world’s total daily crude oil output. The field’s production peaked at 5.7million barrels per day in 1981 and later slipped below the five million mark. The development of the southern Hawiyah and Haradh areas during 1994 and 1996, however, raised the production to five million barrels per day again. Gas injection was introduced at Ghawar in 1958. Water injection began in 1964 to provide additional pressure support. The field’s current extensive injection system utilises water pumped via pipeline from the Qurayyah Seawater Treatment Plant which processes about seven million barrels of Persian Gulf sea water per day. A comprehensive 3D seismic survey was conducted across the field in 1995 to obtain vital information regarding the reservoir structure and distribution of fractures for guiding the future development of the field. The Haradh III project, one of the recent development projects at Ghawar that came on stream in 2006, was the first Saudi Aramco project to be developed with Maximum-Reservoir-Contact (MRC) wells with down-hole Interval Control Valves (ICVs) for flow control. The project also utilised the innovative geo-steering technology for optimal placement of wells for maximum recovery and the intelligent field concept that allowed continuous monitoring of key reservoir indicators through real-time sub-surface data transmission. Ghawar had more than 3,000 injector and oil producer wells excluding the gas wells by the end of 2012. Halliburton was awarded five-year oilfield service contract by Saudi Aramco in November 2009 to develop up to 185 oil production, water injection and evaluation wells at the world’s biggest oil field. Saudi Aramco has been developing a carbon capture and storage (CCS) project at Ghawar since 2011 with an aim to demonstrate enhanced oil recovery (EOR) at the field through carbon dioxide (CO2) injection. Approximately 40million cubic feet of gas is planned to be pumped from the Hawiyah and Uthmaniyah gas processing plants a day as part of this project, which is expected to be completed by the end of 2014. 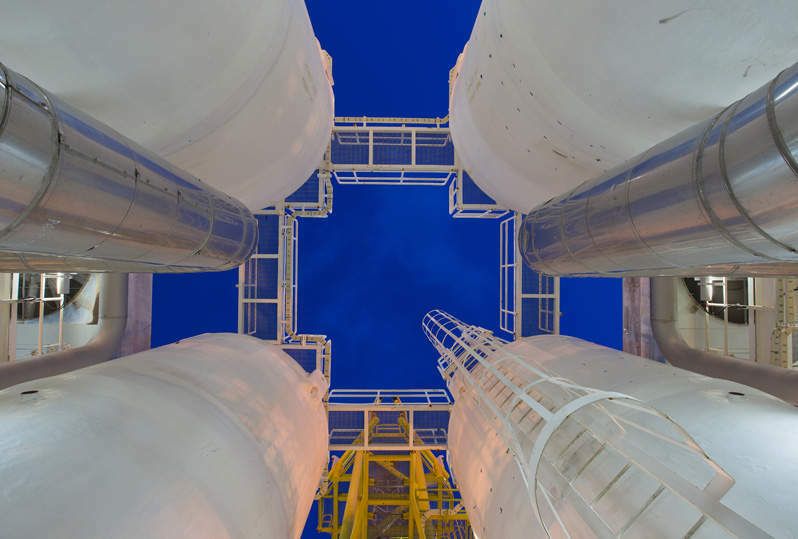 The project, also known as the Uthmaniyah CO2-EOR Demonstration Project, involves an 800,000t/y CCS facility and a 70km onshore pipeline to transport CO2 to the injection site. 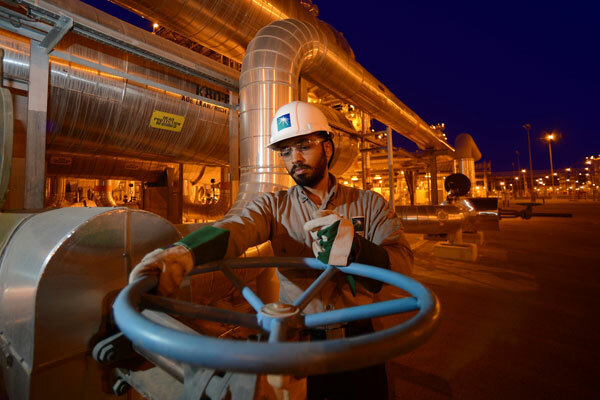 Saudi Aramco also plans to award Front End Engineering and Development (FEED) contract for the development of three shale gas fields including one in the southern part of the Ghawar field.